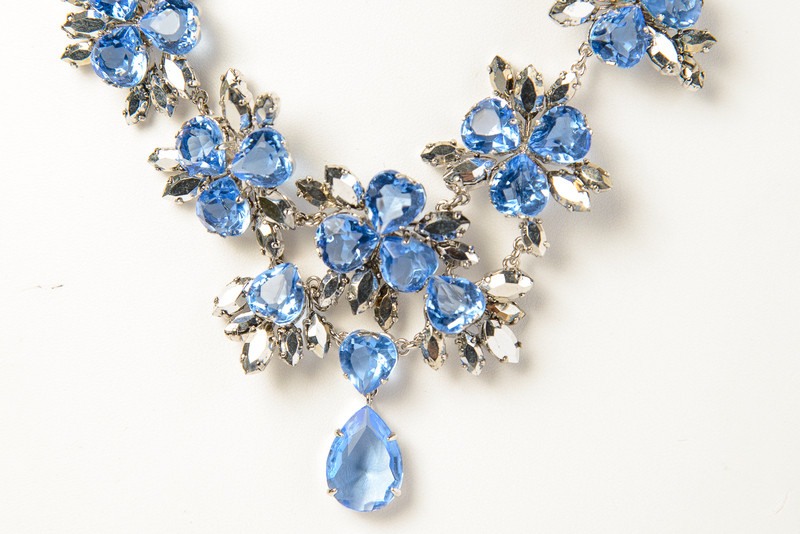 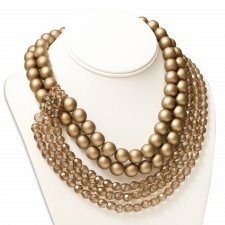 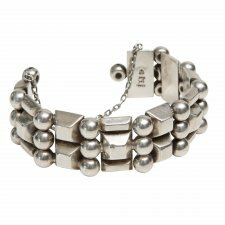 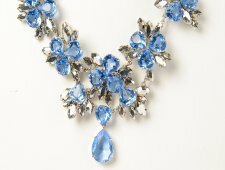 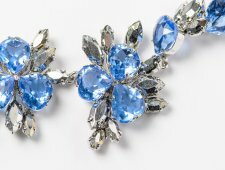 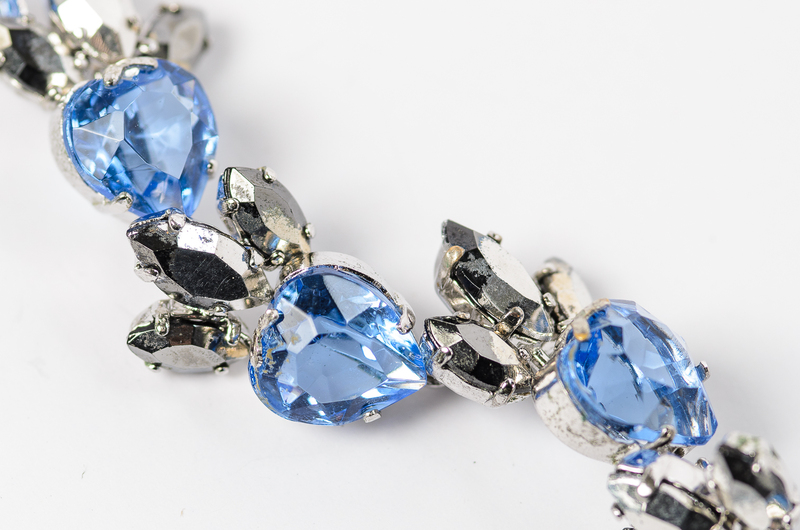 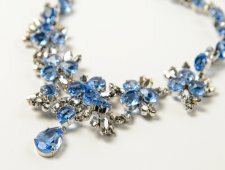 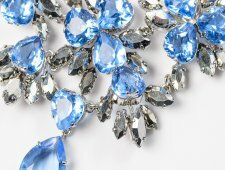 Christian Dior 1958 Blue Faceted Crystal Necklace. 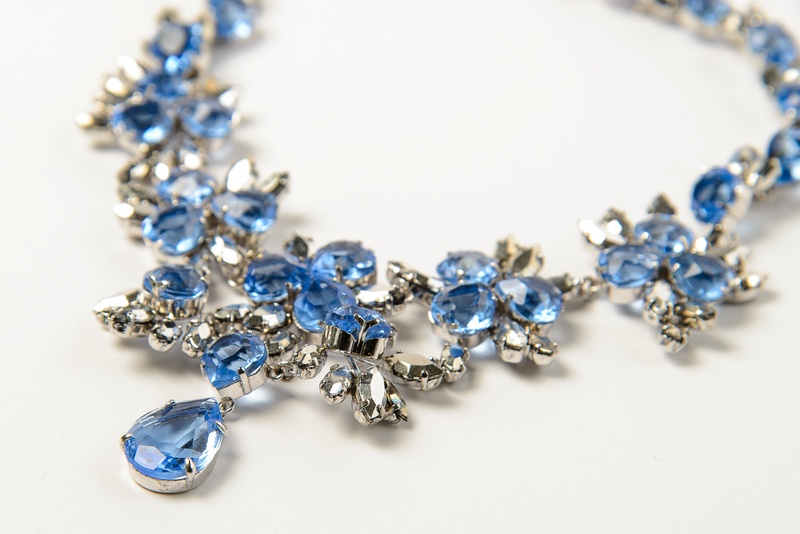 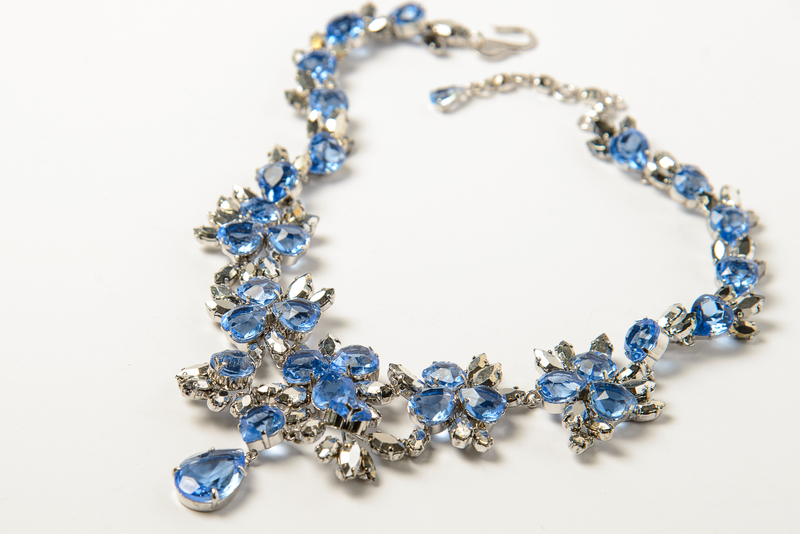 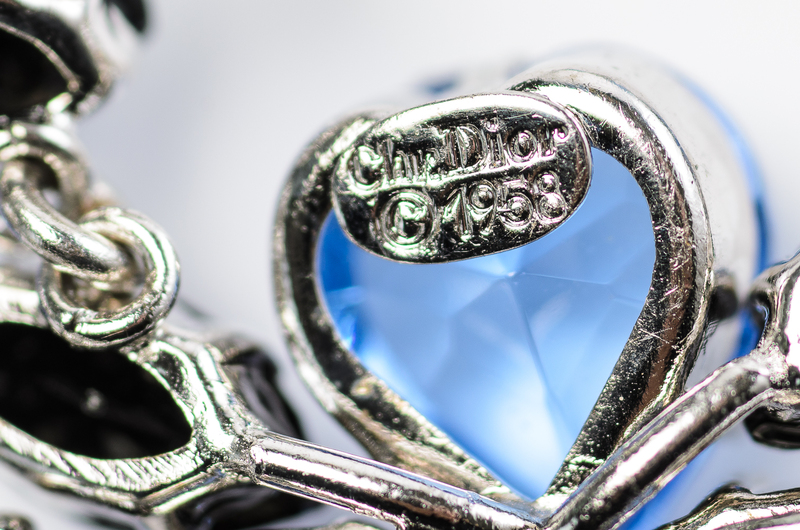 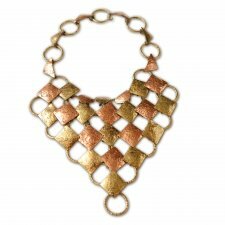 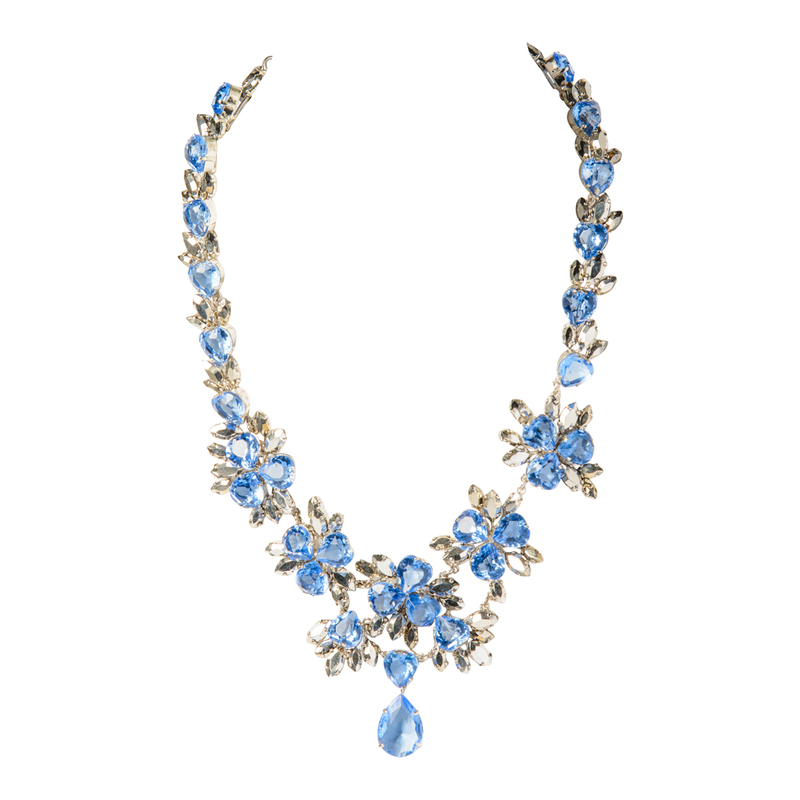 Heart shaped blue crystals run throughout the necklace and accented with marquise cut mirror finished stones. 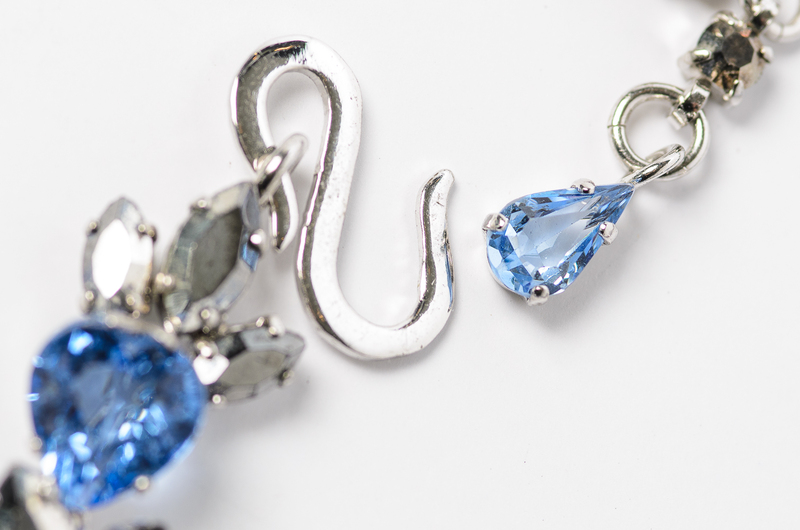 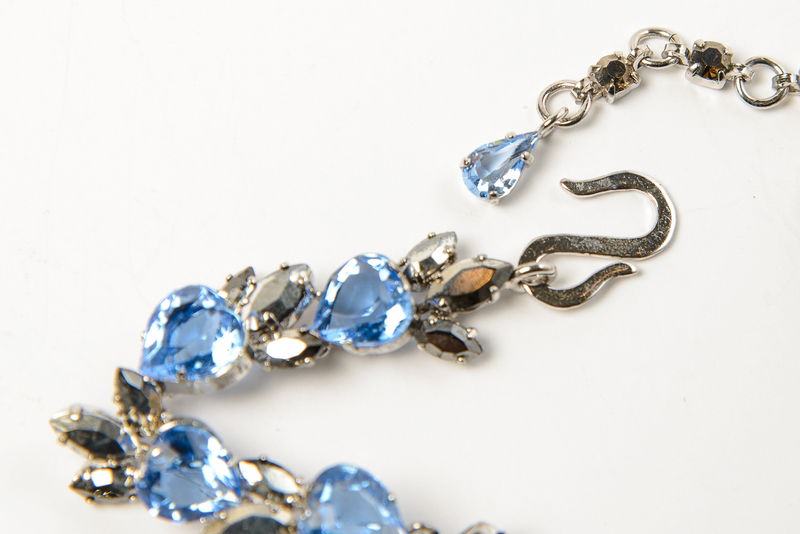 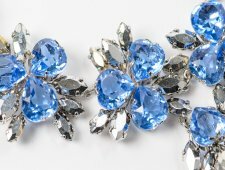 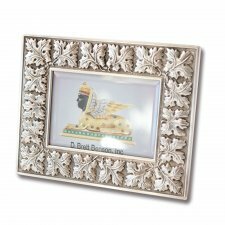 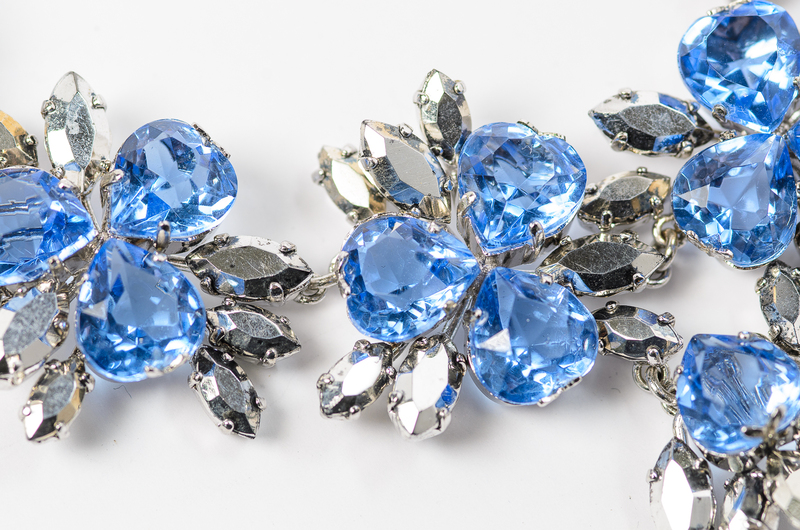 The center dangle is a pear shaped blue crystal and measure 2 1/4 inches long.